Hi, Just want to say thank you for my order it arrived very quickly - actually within one working day! Great service and great price will be coming back to you. Feedback: Very efficient and fast. I received my delivery within 2 days as expected. I am happy with the products and the way they were packed. Will definitely use pure beauty again and recommend to friends. Thank you!! 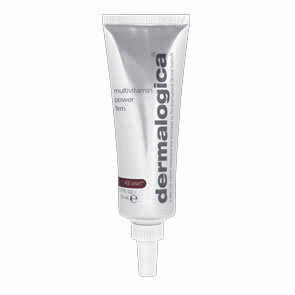 I would just like to say how pleased I was receiving the Dermalogica product that I ordered. I was very impressed by the quick response of the order and that it was a pleasure to deal with your company. I hope to make further orders. Fantastic service every time I order! Thank you. I just want to say what an amazing service Pure Beauty give.I ordered an item and the next day it was with me.I have recommended yourselves to all my friends and family. Hello, I just want to write a quick email and say thank you so much for such a brilliant service. I have ordered with you many times but I was shocked when I made my order yesterday and it arrived today! Your such a brilliant online retailer. Thanks a lot. Hi, I'm just writing to thank you for your brilliant service. Both orders I have placed with you have arrived within 2 days and perfectly packaged. I must also say a big THANK YOU for my free gift - a very unexpected but pleasant surprise! I look forward to doing business with you again. I received my order today at work. The package was in perfect order. I would like to say thanks for the swift service, and I will be using your site again, soon. Many thanks for an absolutely excellent service. I ordered items yesterday afternoon and they were delivered this morning. I will definitely be shopping with you again. Hi there, Not sure if I've ever provided feedback, but I just wanted to say thank you for my recent order. 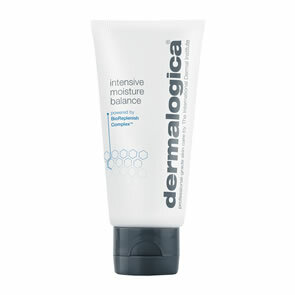 It wasn't much, only the Dermalogica Pre-cleanse, but the speed at which I received it was nothing short of phenomenal. I remembered to place my order at about 3pm last Friday afternoon and it arrived early the very next day. The samples I receive are always feel like a special treat, and I feel so incredibly lucky to have found your website. My sister is a big fan of yours too. All the best. Good morning. I have to say that your service is excellent, I ordered one day and the next day it was delivered. Finding anyone who uses Royal Mail these days is a bit of a nightmare, but I look at all the site I use now to check that that is who will deliver. I have had so many very unfortunate experiences with other firms and their deliver methods, that I have made it a policy to use only site that use Royal Mail. Thank you again. Good Afternoon. I placed my order yesterday morning and received it at lunchtime today in NE Scotland - a really fantastic service! Thank you. I would just like to thank you for the very prompt and efficient service I received on my first order with yourselves. Order was placed and received within 24 hours - absolutely fantastic. Looking forward to placing many orders in the future. Many Thanks.